The Brazilian football team is one of the modern wonders of the world. At its best it exudes a skill, flamboyance and romantic pull like nothing else on earth. Football is how the world sees Brazil and how Brazilians see themselves. The game symbolises racial harmony, flamboyance, youth, innovation and skill, and yet football is also a microcosm of Latin America’s largest country and contains all of its contradictions. 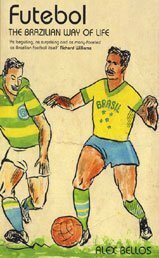 Travelling extensively from the Uruguayan border to the northeastern backlands, from the coastal cities of Rio de Janeiro and Sao Paulo to the Amazon jungle, Alex Bellos shows how Brazil changed football and how football shaped Brazil. He tells the stories behind the great players, like Pele and Garrincha, between the great teams, like Corinthians and Vasco de Gama, and the great matches, as well as extraordinary stories from people and pitches all over this vast country.